Yellow Porter have announced their success in acquiring RM1 million in a funding round led by Cradle Fund. According to co-founder and CEO Vimal Kumar, they plan to use their new funding to help manage their growing user base and expand into the rest of Southeast Asia. 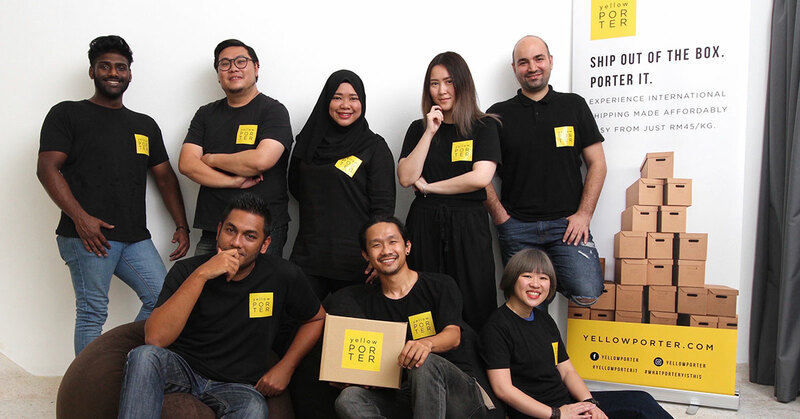 Just yesterday, Malaysian shipping and logistics startup Yellow Porter announced their success in securing RM1 million in a funding round led by Cradle Fund Sdn Bhd. Since beginning operations last year and has since attempted to position itself as one of Malaysia’s more cost-effective methods of international product sourcing and shipping (starting from RM45 per kilogram), with their crowdsourcing model proving particularly popular. According to co-founder and CEO Vimal Kumar, Yellow Porter have been working hard to create awareness for their brand, build stronger relationships with partner airlines and courier companies such as DHL, and also improve their platform to cope with the growth of their user base. From only operating in only five countries, they have now expanded local addresses in countries such as USA, Japan, Germany, and South Korea among others, and now have plans to expand their services beyond Malaysia and into the rest of Southeast Asia, with Taiwan and India already penetrated and Hong Kong slated as an expansion point later this year. “Yellow Porter is looking to grow user acquisitions beyond just Malaysians, but to Southeast Asia and work with more business partners around the region,” said Vimal. This round of funding comes after a period where the Yellow Porter team realised that they needed a bit of a boost in order to bring their services to a wider market. “2017 was the year in which we were identifying our market fit, and at the same time, we were also operating on angel funding which limited our ability to market our services on a larger scale,” Vimal said. Explaining how his company managed to successfully land funding from Cradle Fund, co-founder and CEO Vimal Kumar said that it all went back to when his team were accepted into the last batch of the CIP 150 programme. “This allowed us to expedite the development of our platform and it was key in our efforts to enable a seamless process for our new customers to purchase items from overseas websites and have us ‘porter’ them back to their home country,” he said. Moving forward, Yellow Porter will continue to stick with the same growth strategy they’ve been going with all along—strong partnerships and low costs. “We’ve created our own inventory with regards to the luggage space of our travellers but it didn’t stop us from working with other logistics partners to provide our users options in regards to getting them items at an affordable rate,” Vimal said. You can read our feature on Yellow Porter here, or you can visit their website or Facebook page to find out more about what they offer.